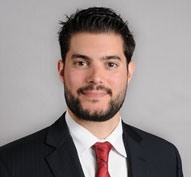 Mehdi Eddebbarh is an associate in the Los Angeles and Orange County offices of Gibson, Dunn & Crutcher. He is a member of the firm’s Real Estate Department where he represents private equity funds, REITs, institutional and non-institutional real estate investors, developers, operators, lenders and borrowers in negotiating and structuring real estate joint ventures, acquisitions, sales, developments and financings involving a wide range of commercial real estate asset classes, including hotel/hospitality, office, multifamily, vacant land, industrial, mixed-use buildings, retail and shopping centers. Mr. Eddebbarh earned his law degree from Harvard Law School in 2010. While at Harvard, he was a member of the Harvard Legal Aid Bureau. Mr. Eddebbarh obtained a B.S. degree in Physiological Science from the University of California, Los Angeles in 2007. Prior to joining Gibson, Dunn & Crutcher, Mr. Eddebbarh served as a law clerk to the Honorable Philip M. Pro of the United States District Court for the District of Nevada and practiced as a real estate associate at Paul, Weiss, Rifkind, Wharton and Garrison in New York. Mr. Eddebbarh is admitted to practice law in the State of California and the State of New York.